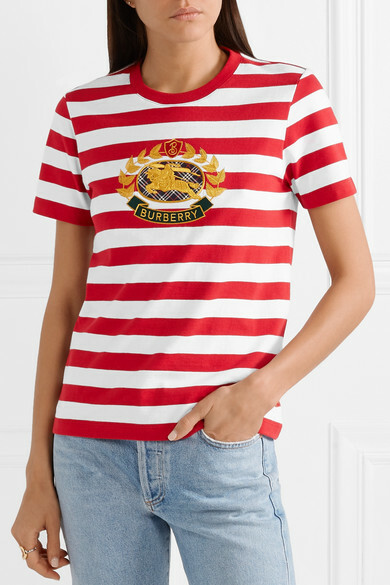 For Spring '19, Riccardo Tisci celebrates Burberry's heritage by pulling iconic iterations of the brand's logo from the archives. 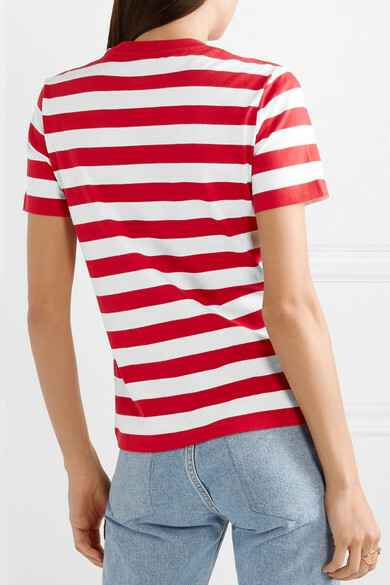 This T-shirt is cut from red and white striped cotton-jersey for slightly loose fit. 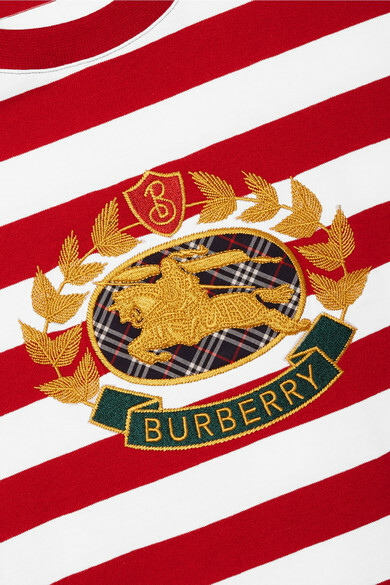 The crest appliqué features the signature equestrian knight motif and the letter 'B' written in the same font that appeared in the brand's first monogram from 1901. 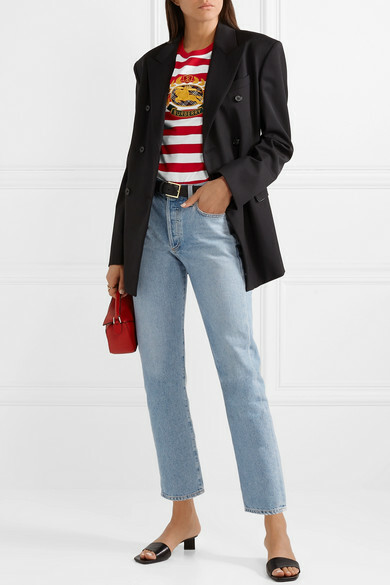 Shown here with: Goldsign Jeans, CALVIN KLEIN 205W39NYC Blazer, Loewe Shoulder bag, The Row Mules, Anderson's Belt, Charlotte Chesnais Ring.